NEWLY CREATED LAKE NOKOMIS/TOMAHAWK RIVER LOTS! 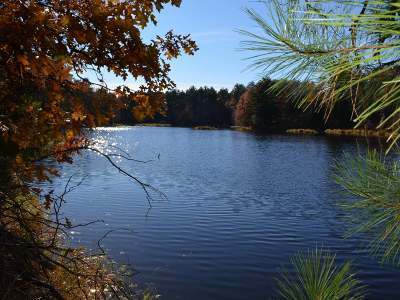 If you are looking for a vacant piece of land to build your home or cabin on but are tired of the same old recycled listings then take a look at these brand new parcels. There are 4 well laid out parcels to choose from. They all feature nice mature woods with some clearing out towards the road, power is at the lots and they all have a moderate taper that is perfect for a walk out or exposed lower level. The parcel sizes vary from 2.8 acres up to 3.6 acres in size and frontage on the water varies from 168 ft. to 385 ft. This parcel features 3.6 acres in size and 180.89 ft. of frontage. A town road services the property for good year around access. Lake Nokomis offers all water sport activities and several dining options for you to access by boat. The snowmobile & ATV trails are all close by as well as 1, 000&apos;s of acres of Paper Co. and County Forest lands. Don&apos;t misss out on this opportunity to own a waterfront lot on the Nokomis Chain!